Question, I’m making one of those as well (although not nearly as beautiful.. and not on my blog because it’s a surprise for my cousins upcoming baby). Do you count each YO row? You must have almost 100 sts between each YO? Any helpful hints, it would be much appreciated. I like the colors you’re using for that. 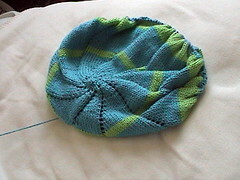 It didn’t occur to me initially to knit a circular blanket, but it looks like more fun than a square. 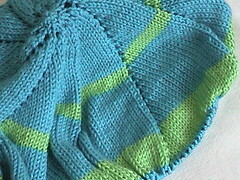 I hate weaving in ends. 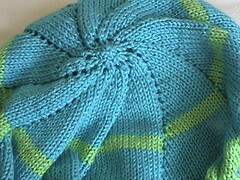 I have a tote bag with three colors that I made in February and I STILL haven’t finished weaving in the ends! Oooooo pretty colors! I think Hadass is going to love it. I can’t wait to see it next week, woohoo!! It may be a pain! but it sure is pretty. You do lovely work Viv…thanks for all your help. Can’t wait to see it finished. First degree: skin is reddened. Minimax, which also means making sure that surfaces are as clean as possible. and injured patients do not get activated all together but separately. people with disabilities. According to the National Fire Protection Association’s Fire Prevention Week Oct.